VATICAN CITY — The Vatican is not to “impose” a specific liturgical translation on bishops’ conferences, but rather is called to recognize the bishops’ authority and expertise in determining the best way to faithfully translate Latin texts into their local languages, Pope Francis said in a letter to Cardinal Robert Sarah. 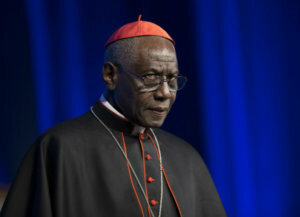 The commentary attributed to Cardinal Sarah insisted on the ongoing validity of the norms for translation contained in “Liturgiam Authenticam,” the congregation’s 2001 instruction on translations. Pope Francis also wrote to the cardinal that the “fidelity” called for in translations has three layers: “first, to the original text; to the particular language into which it is being translated; and, finally, to the intelligibility of the text” by the people. The new process, the pope said, should not lead “to a spirit of ‘imposition’ on the episcopal conferences of a translation done by the congregation,” but should promote cooperation and dialogue.